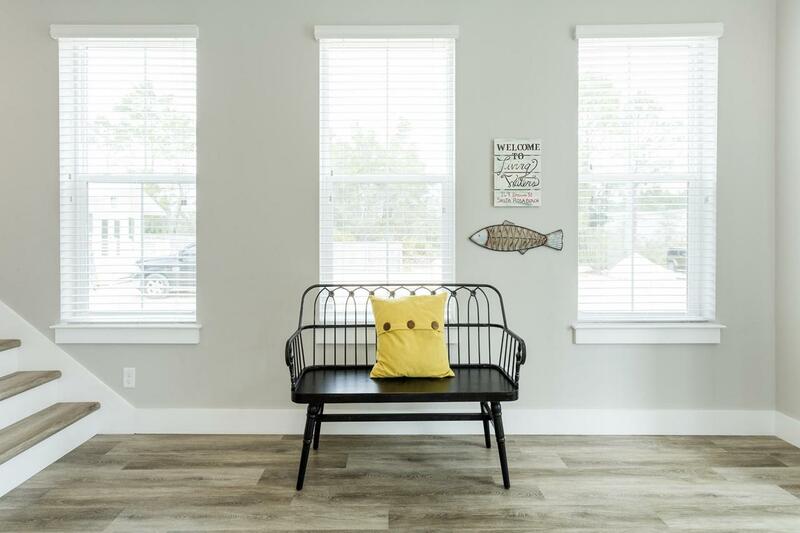 Thoughtfully designed for both entertaining and comfort, ''Living Waters'' is a newly, custom built Beach Cottage with tasteful furnishings and decor that reflect a trendy, coastal chic style. 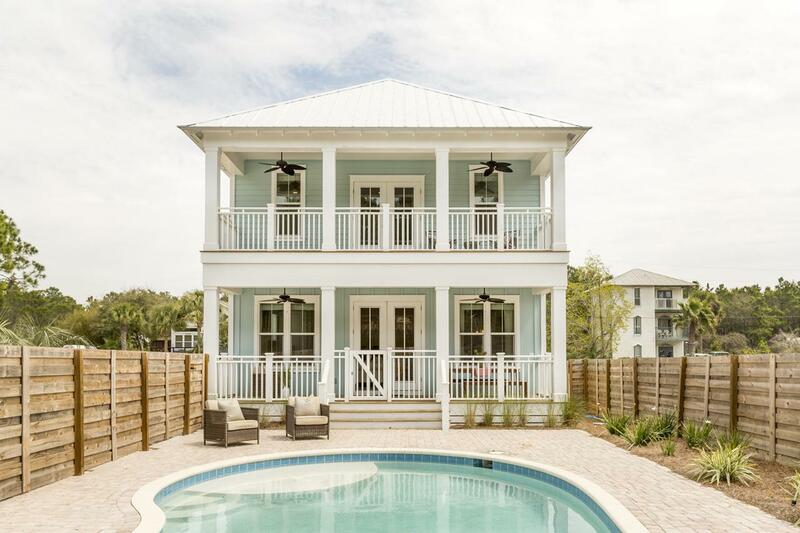 The property features a generously sized heated, saltwater pool with plenty of patio space and spacious porches overlooking the pool and vegetation. An abundance of windows and double glass doors flood plenty of natural light throughout the home. The first floor boasts a spacious open main area with a kitchen, dining, living, gathering spaces and a powder room. A comfortably sized Queen guest suite with en-suite bath is tucked off the main entry foyer. The kitchen features, beautiful stainless appliances, white cabinets and sleek neutral-gray granite. An island kitchen with extended countertop provides bar-style seating that comfortably accommodates four. The focal point of the kitchen is the beautiful, aqua glass horizontal tile backsplash. The second floor includes a "common area" styled media/game room with plenty of gathering space that's perfect for movie-time, electronics or puzzles. There are two generously sized Queen suites, with one featuring a private en-suite bath. 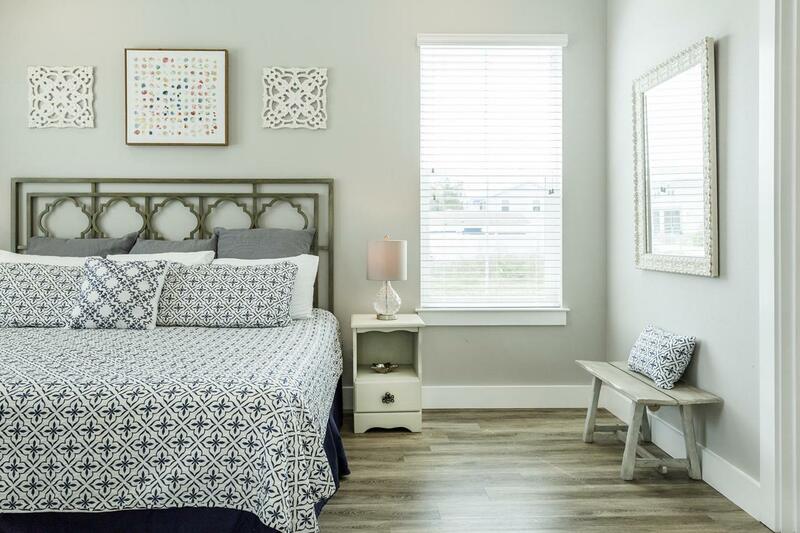 The second floor is rounded out by a third bedroom/bunkroom with double sets of built-in bunks and a full bath in the hall between the bunk room and queen guest room. A top floor expansive master suite boasts a generously sized private porch that overlooks the pool/patio area below. An en-suite "spa" like master bath includes a luxurious soaking tub, a walk- in shower, double vanities with beautiful cabinetry, mirrors & tile. 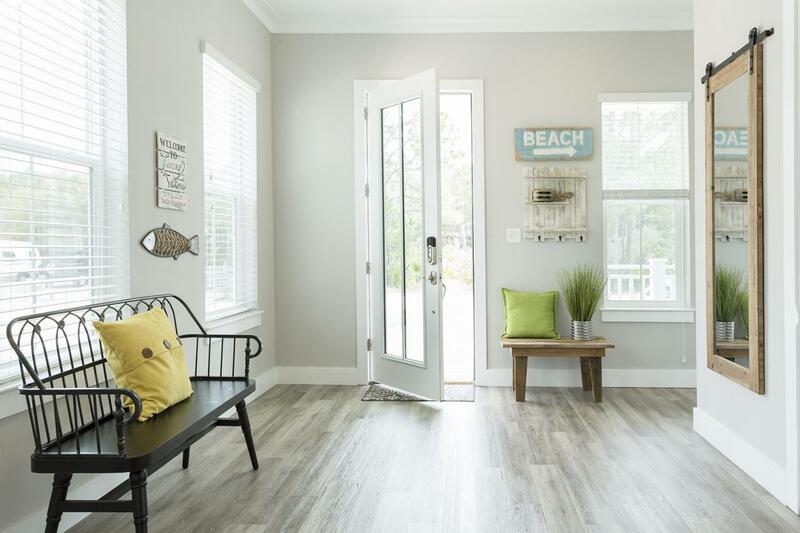 This Seagrove Beach home situated at the end of a cul-de-sac lane is ideally tucked away from the hustle & bustle of 30A, yet conveniently located to all the popular local restaurants, shopping and amenities. A beach access is very easily accessible less than 900' away. There are NO HOA dues for the Brown Street Subdivision. This home is Brand New on the rental program, however Rental Projections show a $100K potential, with great current gross bookings.